It’s good and best of all it’s very easy. That sounds so good. I love legumes for breakfast. I’m not at all familiar with this dish but certainly would like to give it a try. It will make a good, quick Summer lunch. It’s easier enough to make, that’s for sure. You are so right- it is always tough to find something effortless enough to make in the middle of a blazing hot day. I’ll have to keep this in mind! It looks delicious! Excellent photography and so conversational and inviting. Thank you so much – please do stop by again! 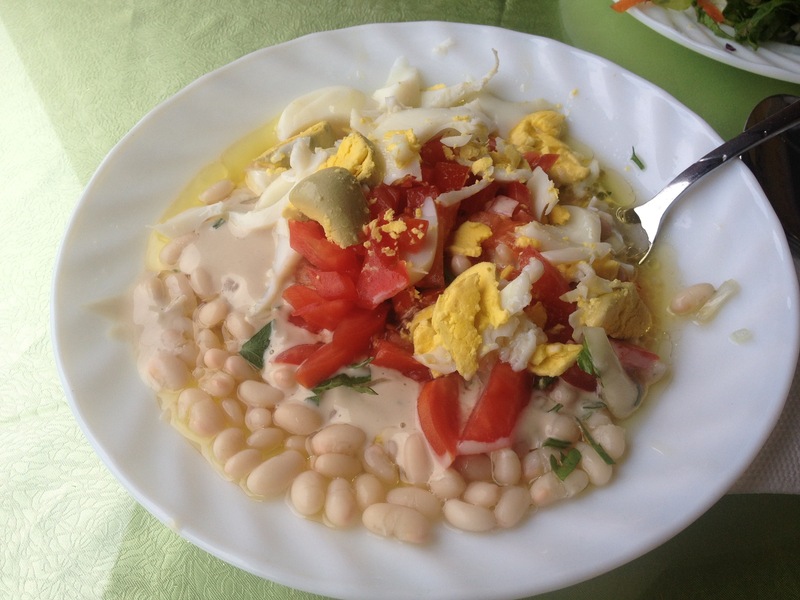 I’d never thought of adding tahini to a bean dish like this – inspired and genius! I’ll wait till tomatoes are back in season too, mind you I do see a lot of tomatoes from Turkey around here, they are generally better tasting than some of the offerings from other places. Those tomatoes were probably my neighbours not too long ago! My tomato plants, on the other hand, are in a miserable state – makes me wish our gardening season weren’t so well underway. That does look seriously good! And seriously easy! Bookmarking . . .